Great Lakes Rigging owner Jon Duer has established an excellent reputation for unsurpassed customer service. Jon has 20+ years in the cable and railing industry. Great Lakes Rigging provides both residential and commercial railing on the interior and exterior of your home or business. Jon and his team bring a passion and expertise to each project at Great Lakes Rigging, creating quality products, remarkable service and loyal customers. Contact them today for a quote on your next project. The Great Lakes Stair and Millwork Company is a leading custom stair manufacturer and stair parts supplier serving a worldwide market. Fabrication specialties range from winding stairs, spiral stairs, curved luxury staircases, and circular stairs to elegant grand and monumental stair systems. 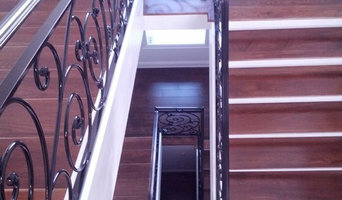 Custom Stairs and Finishes Inc. Imagine building the perfect Staircase in your home minus the concern of every minute detail. We can offer you that peace of mind in knowing the design, materials and profile will be handled properly to the end. Whether you require curved, spiral, straight, flared, boxed or Open Returned stairs. The construction, remodel, and repair will be made possible. 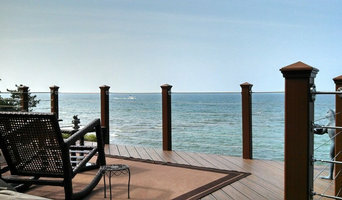 We have over 50 years combined experience building custom stairs. We provide detailed Drawings and Change Orders on every renovation. Consider us today for all stages of work from built in cabinets, entertainment center, custom columns, fireplace mantles, home office remodels, custom panels, cabinetry, and crown molding. We can guarantee the best in material choices and craftsmanship and remain competitive. Our attention to detail means that the job gets done right and on schedule! Staircase designs also vary greatly – from the offbeat to the grandiose – making it imperative that you work with a Cleveland, OH designer who understands your style and can work to your budget. From treads and risers, to balustrades, banisters and handrails, the Cleveland, OH professionals in this category can design, supply and install stairs or the components that will complete your stairway to heaven. Whether you need to replace a handrail, want to update your glass balustrade, or need a complete stair installation, there’s a professional in Cleveland, OH who can help you through the process, from start to finish. Find Cleveland, OH manufacturers, suppliers and installers of stairs on Houzz. Scroll through this page to find companies that manufacture, supply and install stairs in your area. You can browse their portfolios, read reviews and see how other tradesmen and homeowners rate their customer service, expertise and product. Here are some related professionals and vendors to complement the work of staircases & balustrades: Architects, Interior Designers & Decorators, Carpenters, Design & Construction Firms.